The same can be said for the MPC themselves, who left interest rates on hold at 0.75%, despite noting wages were rising faster than they had expected and at the fastest pace in almost a decade. They also noted that there was pent up business investment demand, which could be unleashed in the event of a Brexit deal being reached. Fiscal policy is also becoming more accommodative they observed, although they had not had time to include any potential impact from the budget in their little changed forecasts, released today. These comments and particularly the wage data, suggest that the Bank might have considered raising interest rates at this meeting were it not for the fog of Brexit related uncertainty obscuring their view. In contrast to the period after the referendum result, Carney noted that the hit to the UK economy following a no deal Brexit scenario would be "immediate and material rather than distant and speculative." That said, he emphasized several times that a no-deal scenario was not the most likely outcome. We agree. We continue to expect a relatively soft Brexit deal to be announced by the end of this year and for it to gain the support of UK parliament, albeit grudgingly from some quarters. In this scenario, the pound should rise, boosting real wage growth as imported inflation falls. Domestic inflation pressures, however, should continue to build with job vacancies around record highs. Against this backdrop, we would expect the MPC to focus on the firming domestic inflationary pressures and to raise rates more than once next year. The uncertainty around whether a no-deal scenario will be avoided cannot last much longer. Once the fog clears, as long as it doesn’t reveal a cliff edge, the MPC are likely to forge ahead more confidently, at least while global growth holds up. The Market Insights programme provides comprehensive data and commentary on global markets without reference to products. Designed as a tool to help clients understand the markets and support investment decision-making, the programme explores the implications of current economic data and changing market conditions. For the purposes of MiFID II the JPM Market Insights and Portfolio Insights programmes are marketing communications and are not in scope for any MiFID II/MiFIR requirements specifically related to investment research. 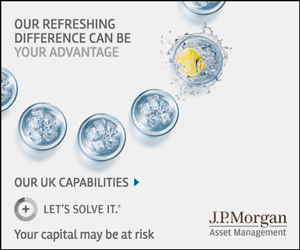 Furthermore, the J.P. Morgan Asset Management Market Insights and Portfolio Insights programmes as non-independent research have not been prepared in accordance with legal requirements designed to promote the independence of investment research; nor are they subject to any prohibition on dealing ahead of the dissemination of investment research. This document is a general communication being provided for informational purposes only. It is educational in nature and not designed to be taken as advice or a recommendation for any specific investment product, strategy, plan feature or other purpose in any jurisdiction, nor is it a commitment from J.P. Morgan Asset Management or any of its subsidiaries to participate in any of the transactions mentioned herein. Any examples used are generic, hypothetical and for illustration purposes only. This material does not contain sufficient information to support an investment decision and it should not be relied upon by you in evaluating the merits of investing in any securities or products. In addition, users should make an independent assessment of the legal, regulatory, tax, credit, and accounting implications and determine, together with their own professional advisers, if any investment mentioned herein is believed to be suitable to their personal goals. Investors should ensure that they obtain all available relevant information before making any investment. Any forecasts, figures, opinions or investment techniques and strategies set out are for information purposes only, based on certain assumptions and current market conditions and are subject to change without prior notice. All information presented herein is considered to be accurate at the time of production, but no warranty of accuracy is given and no liability in respect of any error or omission is accepted. It should be noted that investment involves risks, the value of investments and the income from them may fluctuate in accordance with market conditions and taxation agreements and investors may not get back the full amount invested. Both past performance and yield are not a reliable indicator of current and future results. J.P. Morgan Asset Management is the brand for the asset management business of JPMorgan Chase & Co. and its affiliates worldwide. This communication is issued by the following entities: in the United Kingdom by JPMorgan Asset Management (UK) Limited, which is authorized and regulated by the Financial Conduct Authority; in other European jurisdictions by JPMorgan Asset Management (Europe) S.à r.l. ; in Hong Kong by JF Asset Management Limited, or JPMorgan Funds (Asia) Limited, or JPMorgan Asset Management Real Assets (Asia) Limited; in Singapore by JPMorgan Asset Management (Singapore) Limited (Co. Reg. No. 197601586K), or JPMorgan Asset Management Real Assets (Singapore) Pte Ltd (Co. Reg. No. 201120355E); in Taiwan by JPMorgan Asset Management (Taiwan) Limited; in Japan by JPMorgan Asset Management (Japan) Limited which is a member of the Investment Trusts Association, Japan, the Japan Investment Advisers Association, Type II Financial Instruments Firms Association and the Japan Securities Dealers Association and is regulated by the Financial Services Agency (registration number “Kanto Local Finance Bureau (Financial Instruments Firm) No. 330”); in Korea by JPMorgan Asset Management (Korea) Company Limited; in Australia to wholesale clients only as defined in section 761A and 761G of the Corporations Act 2001 (Cth) by JPMorgan Asset Management (Australia) Limited (ABN 55143832080) (AFSL 376919); in Brazil by Banco J.P. Morgan S.A.; in Canada for institutional clients’ use only by JPMorgan Asset Management (Canada) Inc., and in the United States by JPMorgan Distribution Services Inc. and J.P. Morgan Institutional Investments, Inc., both members of FINRA. ; and J.P. Morgan Investment Management Inc.